Without a doubt, Prezi can be described as one of the biggest success stories in Europe’s recent startup history. 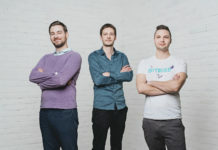 The Hungarian company created a cloud-based presentation software which is already used by 75 million users. Prezi employs a zooming user interface (ZUI), which allows users to zoom in and out of their presentation media. The European “Powerpoint Killer” was officially launched in 2009 by co-founders Adam Somlai-Fischer, Peter Halacsy and Peter Arvai. Today, the Budapest- and San Francisco-based company employs over 250 people. What were the main stumbling blocks for Prezi as a startup (especially during the first two years) and what would you do differently from today’s perspective? The toughest part was to actually start to work on Prezi and believe in ourselves against all odds. We knew that the idea behind Prezi was great. However, we started in 2008, when the deepest recession of the past 70 years shook the world economy. And it was not only the crisis itself but that we were starting from Hungary – one of the most severely hit countries, where not many globally successful companies had emerged. On top of that, we were competing with the three giants of the IT industry: Microsoft, Apple and Google. More than a few investors have turned us down because they did not believe that we would ever have a chance to succeed – even if they agreed that Prezi was a great idea. 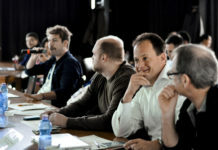 Prezi can be described as one of the biggest success stories in Europe’s recent startup history. Why did you move a fair amount of your company to the US? Was American capital and a US presence necessary to grow the company further/faster? From day 1, Prezi was aiming for global success. We believed that is not enough to succeed in Hungary or even in Europe and we thought there was one market that determined our long-term potential, and that was the U.S. The U.S. is the world’s largest market and it has a lot of potential users speaking the same language and these things matter. When we first launched Prezi, our offering was priced in euros thinking that everyone would know it by 2009. Then we quickly discovered that many of our U.S.-based customers did not know what a euro was. Once we flipped the switch to dollars, we were good with everyone around the globe scale quicker. The U.S. also has many investors with global ambitions, and a large number of advisors who can help you navigate the waters of scaling a company rapidly, but Europe is catching up on this front and I believe the gap between investor experience between US and Europe has shrunk a lot since we started. With over 250 employees split in two different locations (Budapest / San Francisco), how do you support corporate culture and how do you make sure employees stay happy and motivated? We invest a lot into our people and work hard to keep everyone on the same page, despite the physical distance and time differences. We have many programs in place to foster and unite our Budapest and San Francisco offices. First, we offer a fellowship program, which allows our employees to spend up to 6 weeks in our ‘other’ office. The goal of this program is to help spread knowledge and enhance personal relationships within the company. After the fellowship, we require the visiting employee to report back what they learned during their trip and share their experiences/learnings with fellow employees. We also strongly encourage employees to visit other companies and talk to other people (outside Prezi) during their fellowship. Secondly, we encourage our employees to attend conferences they would like to attend that are beneficial to their growth. As we are working on a disruptive product, we want Prezilians to harness inspiration from around the world. Highly ambitious and skillful people then make new groups inside the company. People gather in cross functional teams, where engineers, UX researchers and designers work on a specific problem together. Our teams have ownership so they can more easily work on a challenge together and then come up with effective solutions. We want to be mindful in both celebrating success, let the teams fail too, as we all know that we can learn from our mistakes. 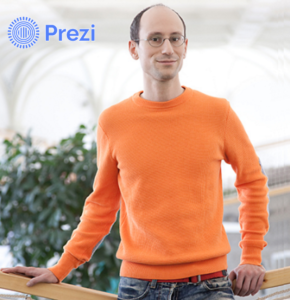 Prezi already counts more than 75 million users. What are your most important growth engines and marketing channels? For us, the most powerful tool was definitely word of mouth. We launched Prezi at The Next Web Conference in Amsterdam in April, 2009. I was pitching the product at a startup contest and while we have only came second at the contest, TechCrunch wrote a beautiful piece with the headline ‘Prezi is the coolest online presentation tool, I have ever seen.’ It made other people also want to see it for themselves. In Prezi’s case, the thing is that whenever somebody delivers a presentation with Prezi, they are also showcasing our product. For example, startups pitching VCs for investments were our trojan horse into the investor community. Many contacted us after they had seen one or two presentations delivered by a prezi and became interested in our company. Today, a lot people discover prezi also via the world’s largest database of presentations with over 260 million prezis on our site. Also, the 260 million prezis does not include the many millions of non-public prezis that our customers have made but kept private, as one of the benefits of our paid licenses is privacy. 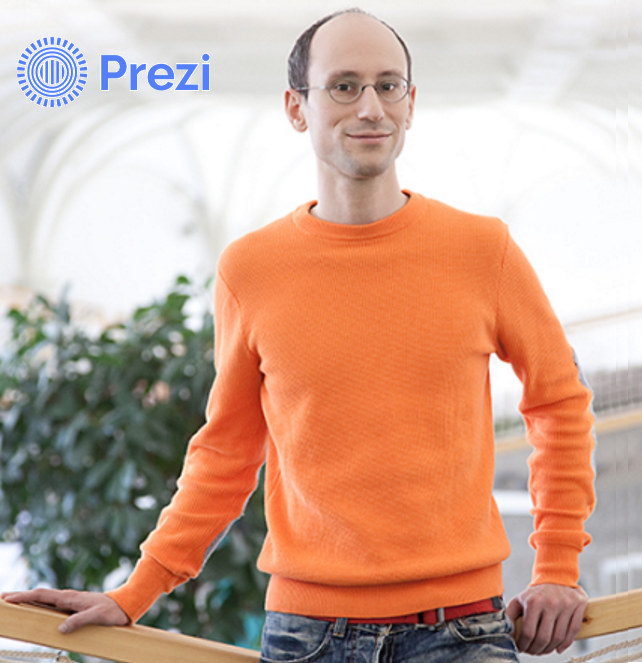 Over the years Prezi was able to secure over $72 million in venture capital. What is most likely going to happen next: A) Prezi raises another round of funding, B) Prezi reaches profitability, C) Prezi is doing an IPO? Prezi is a mission driven company. Our goal is to help other people to share ideas and make better decisions. While we do not comment our next step here we can share how we make these decisions. 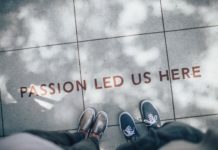 We compare them opportunistically: the best financing option the one that will best sustain our mission of helping people share ideas, make better decisions. Usually this has less to do with form of financing and more to with terms of the financing itself. 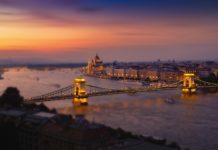 How is your experience with Budapest as a location to start a company? Budapest has been going through a transformation since we started Prezi. Budapest is currently the home Ustream a video streaming company, and was acquired by IBM this January. NNG, a leading on-board navigation system, was also started and is still headquartered in Budapest. Logmein, a Nasdaq company, has its main office here in Budapest. And there are a bunch of next gen startups with global recognition. These companies are beautifully reproducing a core competency of the city centuries. Did you know that Hollywood’s oldest studio, Paramount, was founded by a Hungarian? Hungarians have brought improved visual communication for generations. We love that Budapest is becoming a party destination too. Creative, beautiful environment combined with low costs leads to very high quality of life. One of our investors was just visiting from the bay area and we both agree. While the Bay Area has higher concentration of exciting initiatives it has hard time competing with the quality of life afforded to a Prezi employee in Budapest. Could you recommend our readers one or two books that helped you during your entrepreneurial endeavors? Better Angles of our nature – Steven Pinker – has written an amazing description of the change humanity is capable of by making more informed decisions. It goes to the very heart of what makes our work with Prezi meaningful. Willpower instinct – Kelly McGonigal – describes very convincingly why it is important that we take care ourselves (sleep, eat, exercise, reflect) in order to achieve long term goals. Key for anyone who’d like to avoid acting on too small plans.